Last week the Wall Street Journal examined a new pilot program the FDIC approved that is designed to encourage banks to create simple, low-cost deposit accounts. They featured a great graphic showing the demographic breakout of U.S households without a savings or checking account in 2009. 70+ million people live outside the credit and banking system in the United States. The global unbanked market size is estimated at 2 billion. 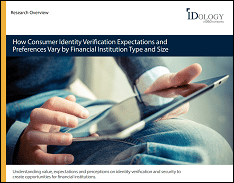 In the identity verification market, the unbanked market is sometimes referred to as a “thin file” because only a little bit of information can be found on these people. Obviously using credit data doesn’t work well because they don’t have a credit history with the credit bureaus. Having a strategy to identify this market is important not just because of the level of risk involved but more importantly because of the opportunity. Wouldn’t you like 70 million or so more customers? Downloading our whitepaper “Turning Thin Files into Fat Profits” can help you understand how identity proofing technologies can help create more profit in your business.